My heart hurts. I’m going to let my heart bleed all over my computer as I write this. I often feel the emotional pain that my scoli clients go through, and it can be emotionally draining at times. Today is one of those days. As many of you know, I am not an advocate for spinal fusion surgery. I haven’t seen one instance where, for the long-haul, the physical body or soul is better off. However, I have many people come to me post surgery, and I love on their bodies and souls to the best of my ability and many have become life-long clients of mine. Recently, I had a 14-year-old come to a lesson four months after having full spinal fusion surgery. Immediately after surgery her right leg was paralyzed and stayed that way for three weeks. Praise be to God, it’s doing fine now. Her parents didn’t know, or at least didn’t think, that could ever happen. It did. During our first lesson, I went over the rules of what kinds of motion she’ll never be able to do again, because if she does, she might break her rods. Half of the movements neither she nor her mom knew she couldn’t ever do again. Why oh why were they not told that her days of doing crunches were over?! Why am I the first one telling them?! How many people in the medical world did they pass through during this surgical process, and why am I the one who has to tell them?! 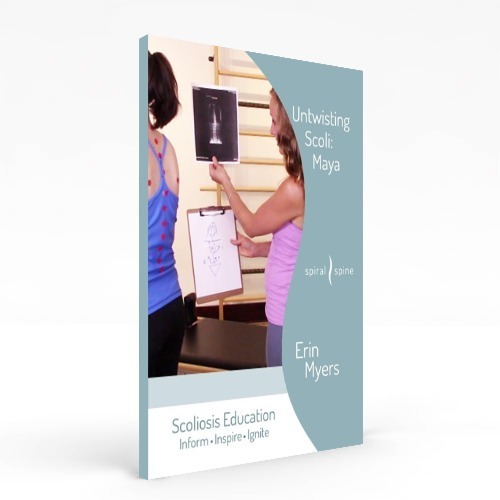 The scoliosis system is broken, and it makes my heart hurt. The weight that will forever be on this father’s heart tears me apart because he knows he made a permanent choice for his daughter, and she will have to deal with the consequences of his choice forever. My mama’s heart hurts. It really is almost more than I can bare walking alongside some of my scoli clients, but I know it’s my calling. The current scoli system is so broken. I will scream this from the top of the tallest mountain until Jesus takes me home: MOVE! Movement heals. Find someone who knows the body well and entrust your body to them. We were not promised anything in this life would be perfect. That is what we look forward to in Heaven. That includes having a perfectly straight spine and being pain-free all the time. Putting something into the body that will never allow part of the body to move again is never going to be a miracle fix. Our bodies were made to move. That is how they were created. As I continue to wrestle with my hurting heart and the broken scoliosis system, please encourage those thinking about full spinal fusion surgery to get multiple opinions from orthopedic surgeons doing different kinds of scoliosis surgeries, non-surgical orthopedists, physical therapists specializing in scoliosis, skilled massage therapists, and knowledgeable movement practitioners before going under the knife.